LIVER SUPPORT IS SO IMPORTANT, & OFTEN IGNORED! 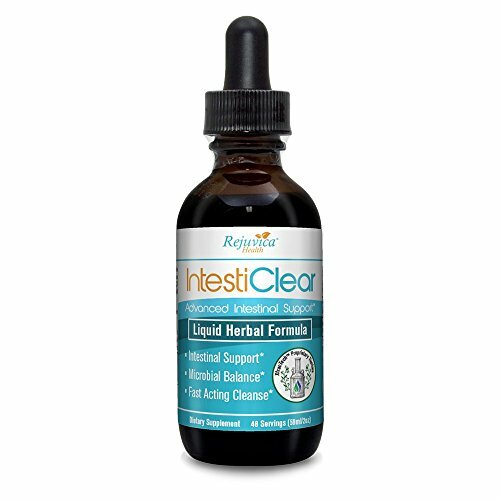 So many formulas forget that the liver is responsible for supporting detoxification your whole body, and it helps to give it an extra boost when you're supporting your intestines - that's why IntestiClear includes additional liver-support ingredients! LIQUID FORMULA FOR DOUBLE ABSORPTION! Studies have shown that the body uses up to 98% of a liquid extract compared to only about 39-53% of a tablet or capsule. Furthermore, 87% of liquid formulas are absorbed in the first 20-30 seconds. Don't waste money on lesser Intestinal Support supplements! If you have any questions about this product by IntestiClear, contact us by completing and submitting the form below. If you are looking for a specif part number, please include it with your message.